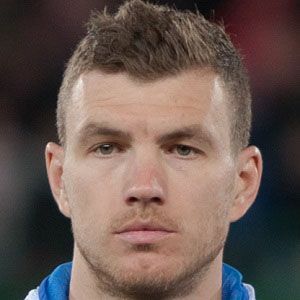 Bosnian striker who joined the Premier League's Manchester City in 2011 after spending four seasons with VfL Wolfsburg. He became a member of the Bosnia and Herzegovina national team in 2007. He began his youth career at age 10 with FK Zeljeznicar Sarajevo. He was named Bosnian Footballer of the Year three straight years from 2009 to 2011. He grew up with a sister named Merima. He married Amra Silajdzic in 2014 and had a daughter in 2016. They welcomed a boy named Dani the following year in September. He and fellow striker Mario Balotelli played together on Manchester City from 2011 to 2013.